Category: Books, Self Help & Personal Development, Yoga and Meditation Tags: meditation, mindfulness, self-development, self-help, yoga. Transform Your Life Into One Epic Adventure. Humorous and wise, gritty and real, Brett Moran is a spiritual gangsta and knows the score about transformation. In Wake the F*ck Up he shares the tools and techniques he’s learnt on his journey so you can do the same. 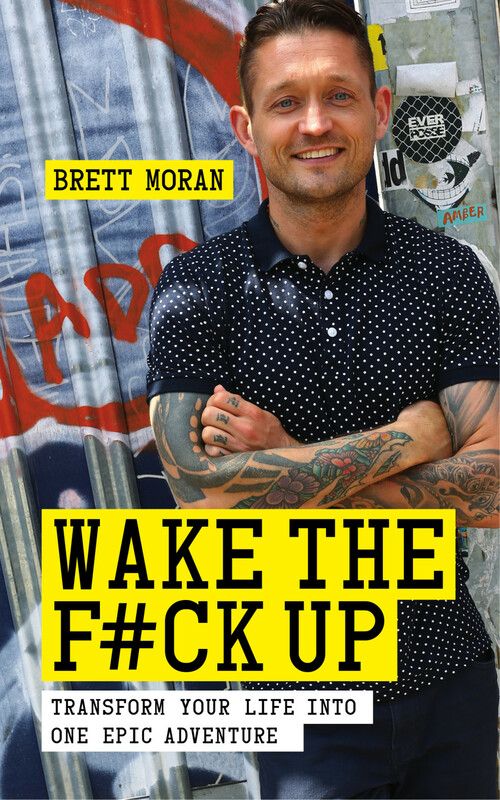 Whether you’re looking to overhaul your health and energy, achieve your goals, or overcome negative behaviours and patterns, Wake the F*ck Up will show you how to: Tap into the natural highs of life by using meditation and mindfulness to help you overcome negative thoughts and feelings before creating a vision for what you want to achieve. Move from lost to alive by learning how to smash negative habits and re-engineering your energy through healthy lifestyle habits and by creating a positive mind-set. Be successful and happy no matter what life throws at you through simple gratitude practices and living more authentically. Real-life stories throughout will inspire you to think big and achieve even bigger while tough questions will help you overcome beliefs and conditioning that may have been keeping you caught in a life you didn’t consciously choose and then help you stay on the right track. When you wake the f*ck up and start living the life you want, every day becomes an epic adventure. ‘I’m a big fan of Brett’s work. He speaks with an authenticity that inspires you to truly be yourself’ Dr David Hailton, bestseling author.